How to record online conversations? 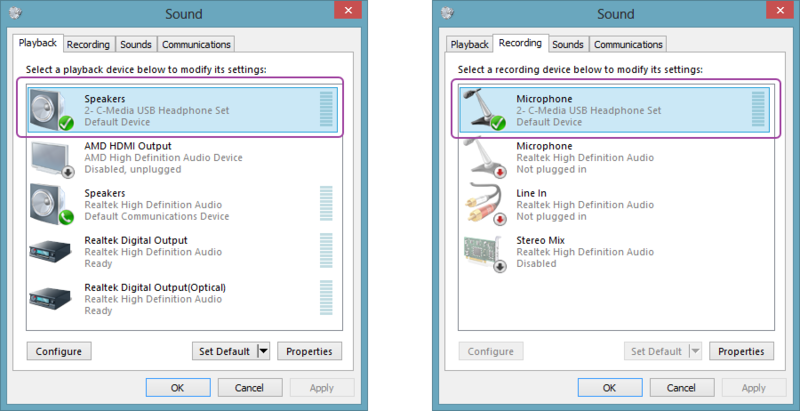 On Windows Vista, 7, 8 and later version, this product can record from speaker and microphone at the same time. 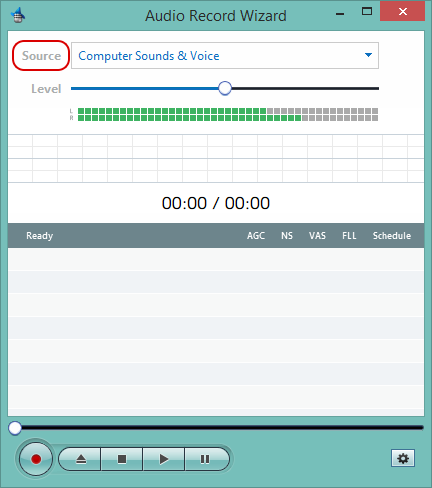 In other words, Audio Record Wizard can record online conversations from any voice chat/voip software, including Skype, Google Talk. In most cases, just select Computer Sounds & Voice, and start recording. Then it will work as expected. 1. When I playback the recording, computer sound is okay, but voice is too low? 2. When I playback the recording, computer sound is not recorded, (or voice is not recorded)? 3. When I start recording, get the error message 'System default device is not available...'? 4. I cannot hear voice while recording? Question: When I playback the recording, computer sound is okay, but voice is too low? 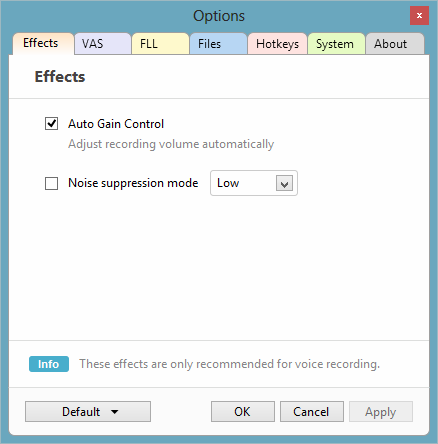 Enable Auto Gain Control, also you can enable Noise Suppression as required. Question: When I playback the recording, computer sound is not recorded, (or voice is not recorded)? Question: When I start recording, get the error message 'System default device is not available...'? 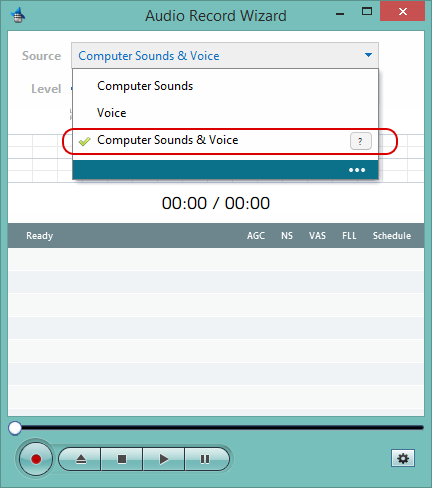 Computer Sounds & Voice is designed to record from Windows default playback device and default recording device at the same time. So, please check out if the appropriate devices are set as default within Control Panel. Please click Source to open Control Panel. 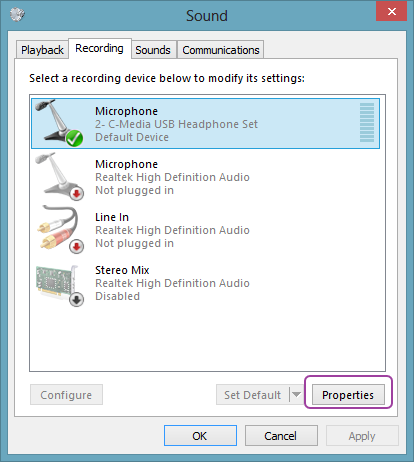 For example, if we would like to record from a USB headset, we need to set the USB device as default playback and recording device in Control Panel. In most cases, Windows will do this job automatically, but sometimes you still need to select it manually. Question: I cannot hear voice while recording? 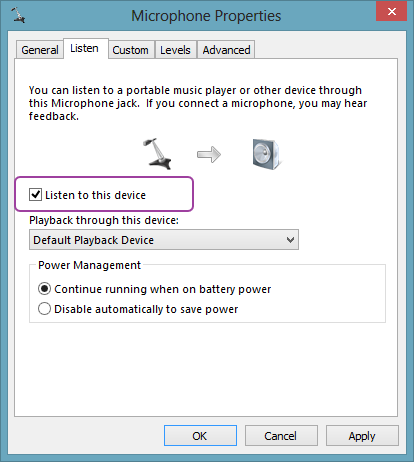 In Windows default settings, voice will not go through the speakers while recording. In other words, you will not hear what you are speaking into the microphone. In order to enable it, please click Source to open Control Panel. 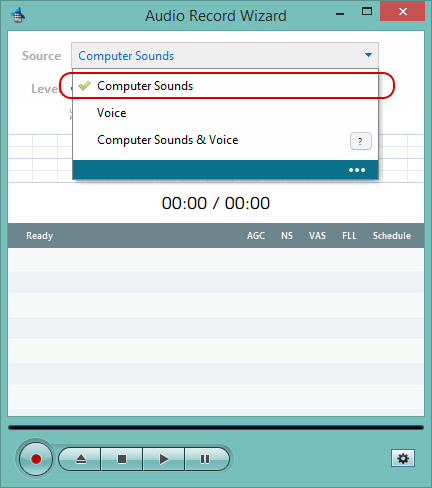 Since voice will go through the speakers, so you just need to select Computer Sounds as the recording source. 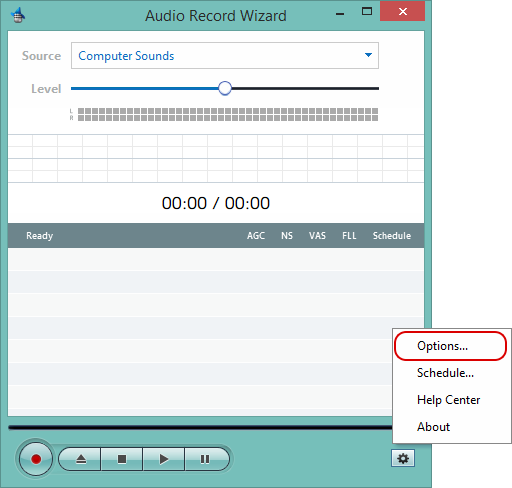 Then, Audio Record Wizard will record computer sounds and your voice just fine.